I will show you how to bake bread and survive any disaster today. 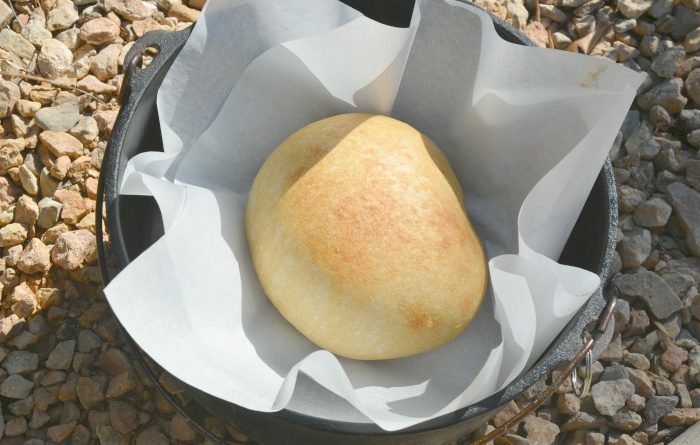 Yes, you can make bread with my no-fail recipe. I promise. 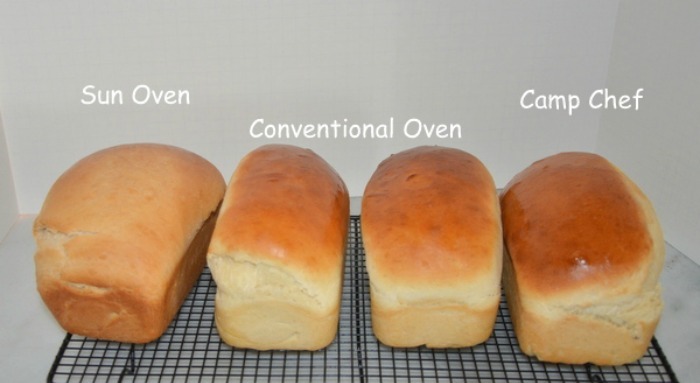 A few years ago I wrote a post showing how you can make bread three different ways. Well, since then I have learned to make bread in a Dutch oven so now I can show you how to make bread four ways. Now, not everyone has a wheat grinder so today it’s all about making white bread. After a disaster, white bread will fill the belly and you can serve it with soup. I hope people in your community are teaching each other how to make bread with or without a bread mixing machine. If it’s a freshly ground whole wheat bread class, you rock. I grew up making bread so it’s just a way of life for me and saves me lots of $$$ on my food budget. I have taught several classes on how to make bread, in my home, in specialty kitchen stores, and in large groups in church kitchens. If you have fresh ingredients, you can make bread. I have a no-fail recipe anyone can succeed at making bread. When I say fresh ingredients, here’s the deal on this statement. I only buy this yeast: Saf Instant Yeast, 1-Pound Pouches (Pack of 4) if you don’t bake a lot just buy one: Saf Instant Yeast, 1 Pound Pouch . I store ONLY the amount of SAF Yeast in my refrigerator that I will use in a month. The open pouch that won’t fit in my refrigerator jars goes in an air-tight container in a quart mason jar in the freezer. The other unopened SAF yeast pouches go directly into my freezer. I always buy 4-6 pouches at a time. I cannot ever run out of yeast. Yes, I could make unleavened bread but I don’t want to for my weekly bread making. I shouldn’t say weekly, it’s actually about every two weeks because I only make eight loaves and freeze seven. Which reminds me, these are the bags I use to freeze my bread: 100 Count Clear Bread Bags / Includes 100 Cable Ties These are fairly cheap and include the ties. I never reuse the bags, but I do use these bags for other things besides bread. It’s just the shape of the bags are what I need to store and freeze my bread. First of all here is my recipe for two loaves of bread: White-Bread-For-Two Recipe or Whole-Wheat-Bread-For-Two Recipe I have to laugh every time I share my two-loaf recipe. When I was asked to write my book “Prepare Your Family For Survival” my publisher said I had to cut my recipe down to two loaves. 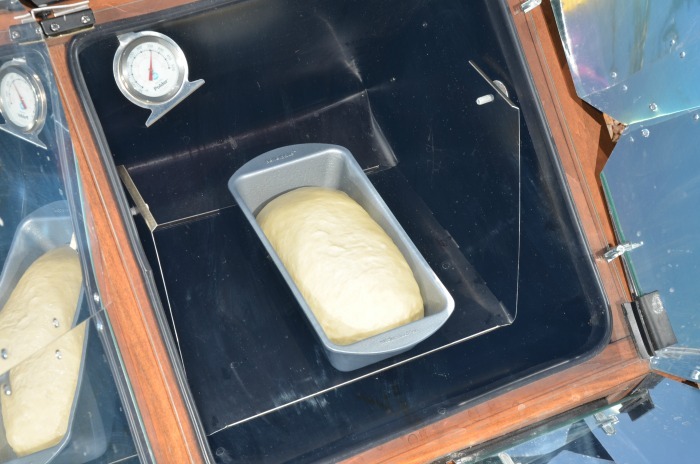 The editors mentioned no one makes more than one loaf at a time where we live. Well, in Utah most people make 4-8 loaves at a time, right? So, yes, I cut my recipe down and actually it’s been a favorite download for college students, two member families, etc. 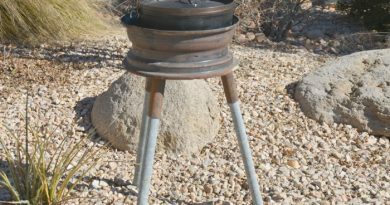 Here is my PRINTABLE Dutch oven chart: Dutch Oven Chart I called Lodge Manufacturing to see if I could make my own printable chart using their numbers and they gave me permission to do so. I love their products. The two middle loaves were baked in my home in my own conventional oven. 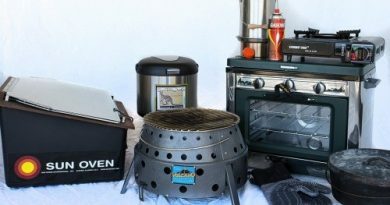 The loaf of bread on the far right is was baked in my Camp Chef: Camp Chef Camping Outdoor Oven with 2 Burner Camping Stove This stove uses propane in the small cans or the large propane tanks. 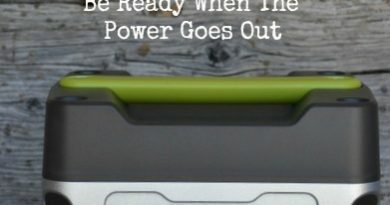 Make sure you have the adaptors for your tanks before you need them. Thanks for being prepared for the unexpected. May God bless you for your efforts. 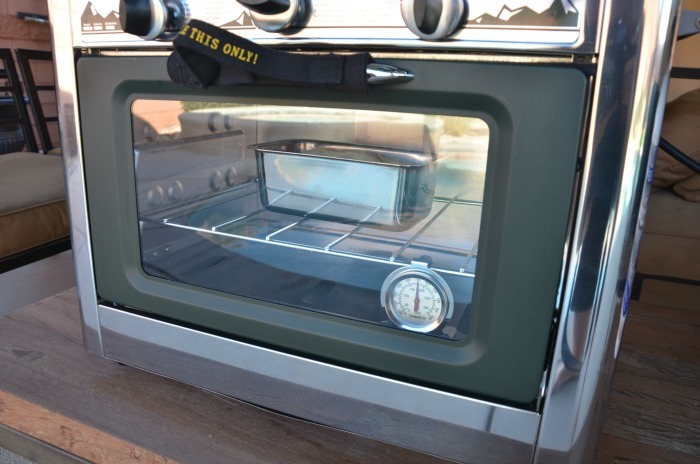 A comment below from Gayle reminded me of the fact that I do not recommend these Sun Ovens in any area that has very little sunshine each year. Gayle: I’m glad you have different pics of how to bake it. We live in the rainy pacific northwest and sun oven is just not practical in a rain forest. 3/4 cup shredded cheddar cheese (the sharper the cheddar the more you’ll taste it in the biscuits). Preheat oven to 450 degrees F, Mix together the dry ingredients, Cut in the shortening until you have coarse crumbles, then add milk all at once. Stir together until dough clings together. Now knead in the shredded cheese. Roll or pat to 1/2 inch thickness on a floured board or parchment paper (I use parchment paper and use that paper again to put on my baking sheet for the biscuits). Use a biscuit cutter or glass (I use a glass I don’t own a biscuit cutter) and cut out 8-12 biscuits (it will depend on the diameter of the glass). Place parchment paper on baking sheet (do not grease), then place biscuits on the cookie sheet. Cook in the 450-degree F oven for 10 to 12 minutes (I think I made my biscuits a bit thicker because it took almost 14 minutes for them to get cooked through), until they are golden brown and cooked through. My husband said I should have added some cooked crumbled bacon in them, but I didn’t have any and he ate them just fine. I’m glad you have different pics of how to bake it. We live in the rainy pacific northwest and sun oven is just not practical in a rain forest. Love homemade bread. Didn’t make homemade bread today to eat with our homemade stew, but I did make cheddar cheese buttermilk biscuits and they are cooking in the oven right now. Even though it’s not quite time for evening meal the hubby and I are a bit hungry smelling the stew cooking, so making the biscuits early so we can each have one before our regular meal time. 2 cups all purpose flour 4 teaspoons of baking powder 1 tablespoon of sugar 1/4 teaspoon baking soda 1/2 teaspoon of salt (omit if you want) 1/2 cup shortening (I used Crisco butter flavor) 3/4 cup of buttermilk 3/4 cup shredded cheddar cheese (the sharper the cheddar the more you’ll taste it in the biscuits). Preheat oven to 450 degrees F, Mix together the dry ingredients, Cut in the shortening until you have coarse crumbles, then add milk all at once. Stir together until dough clings together. Now knead in the shredded cheese. Roll or pat to 1/2 inch thickness on a floured board or parchment paper (I use parchment paper and use that paper again to put on my baking sheet for the biscuits). Use a biscuit cutter or glass (I use a glass I don’t own a biscuit cutter) and cut out 8-12 biscuits (depends of the diameter of the glass). Place parchment paper on baking sheet (do not grease), then place biscuits on sheet. Cook in the 450 degree F oven for 10 to 12 minutes (I think I made my biscuits a bit thicker because it took almost 14 minutes for them to get cooked through), until they are golden brown and cooked through. My husband said I should have added some cooked crumbled bacon in them, but I didn’t have any and he ate them just fine. Yes you can share it and you don’t have to put my name, I don’t have it copyrighted or anything. LOL. I’m sure other people have made similar biscuits, probably got the recipe from their grandmothers at some point in their lives as well.